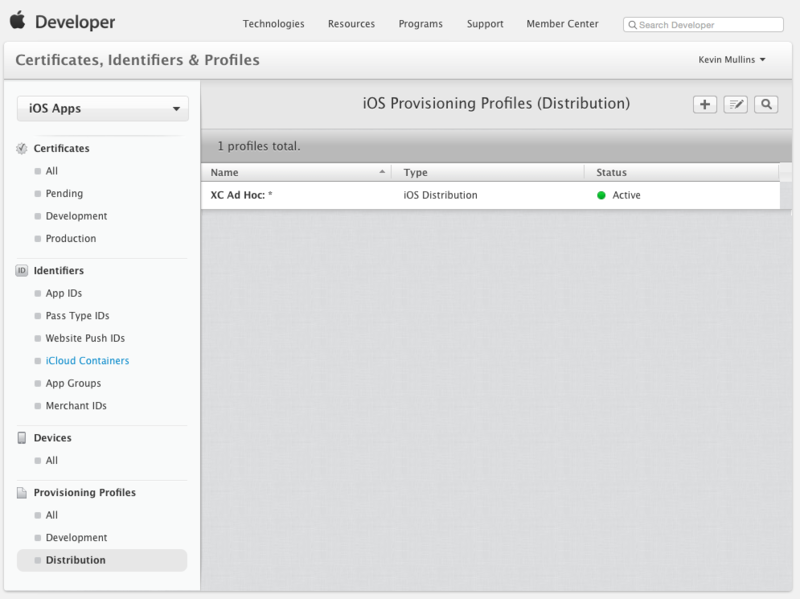 This document gives a brief overview of distribution of applications In-House, as a member of the Apple Enterprise Developer Program. Your application does not need to be submitted for review by Apple. 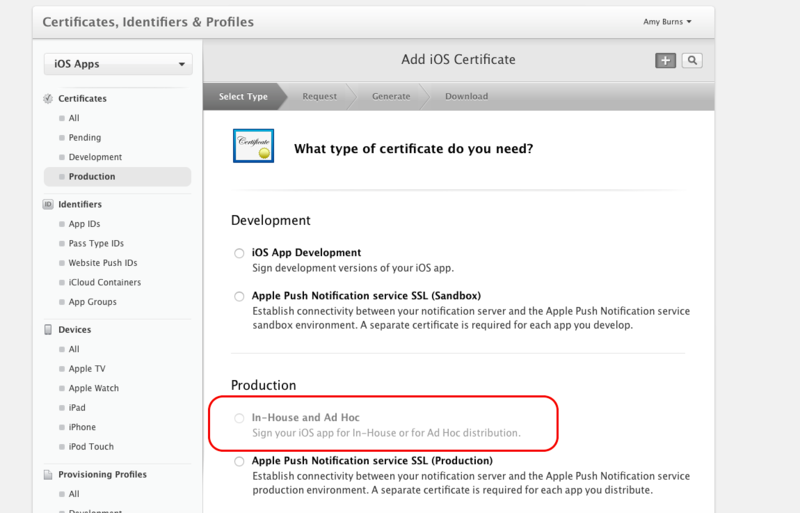 It is important to note that Apple makes it very clear that In-House applications are for internal use only. Does not provide access to iTunes Connect for distribution or testing (including TestFlight). The cost of membership is $299 per year. 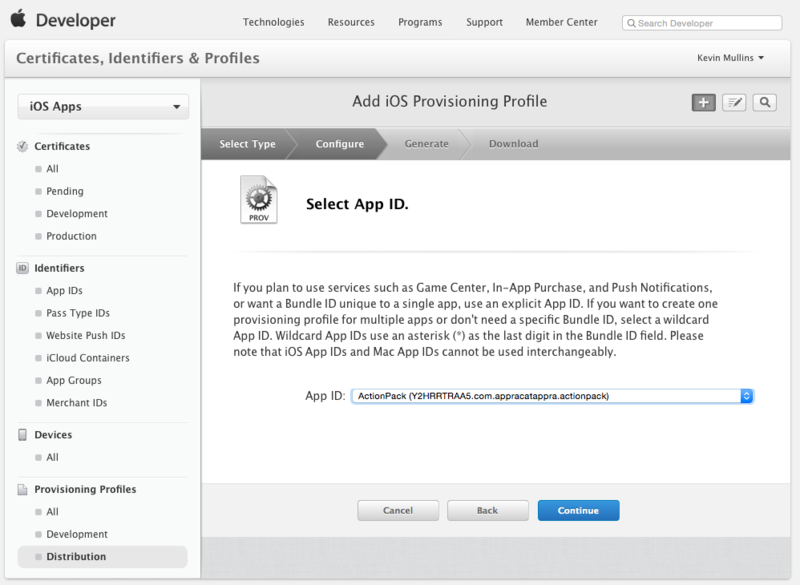 All apps still need to be signed by Apple. Testing your application is carried out by using Ad Hoc distribution. For more information about testing, follow the steps in the Ad-Hoc Distribution guide. Be aware that you can only test on up to a maximum of 100 devices. 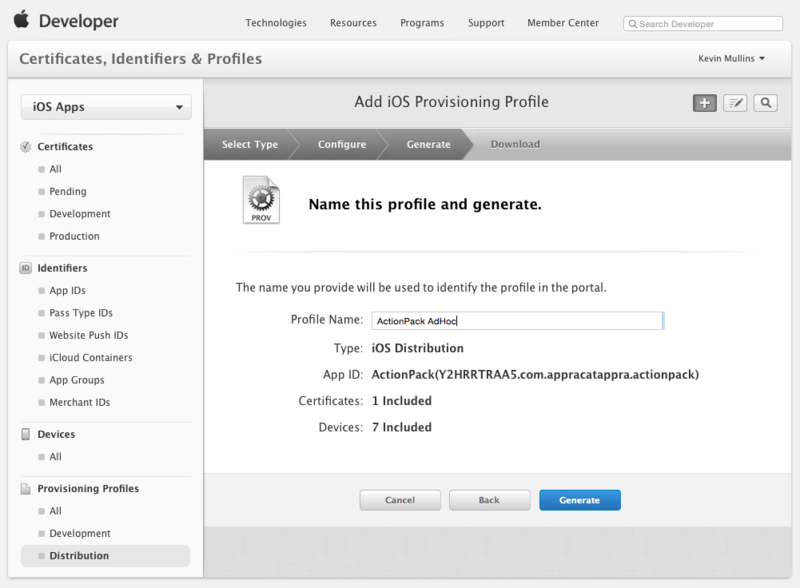 As with other Apple Developer Programs, under the Apple Developer Enterprise Program, only Team Admins and Agents can create Distribution Certificates and Provisioning Profiles. 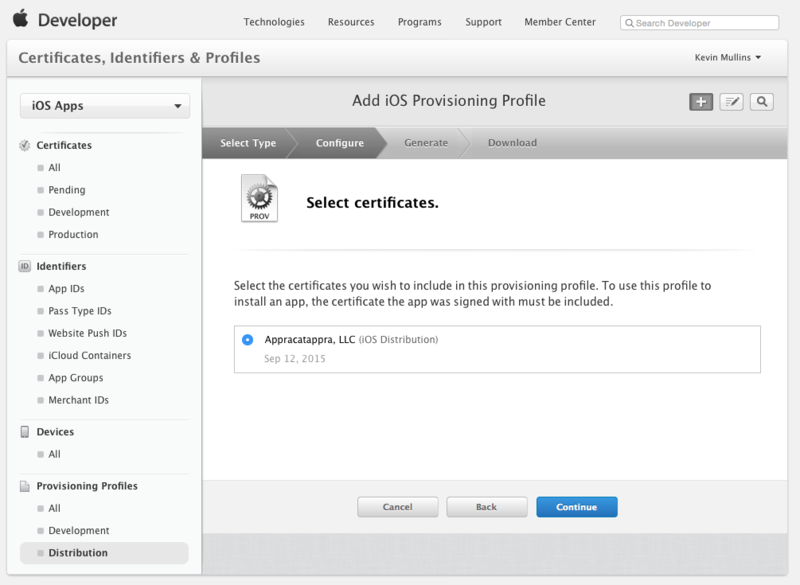 Apple Developer Enterprise Program certificates will last for three years, and provisioning profiles will expire after one year. It is important to note that expired certificates cannot be renewed, and instead, you will have to replace the expired certificate with a new one, as detailed below. 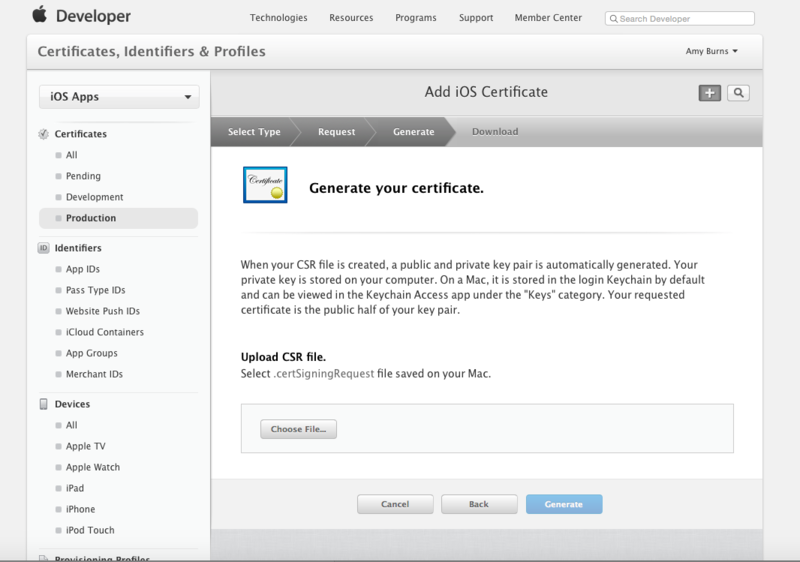 Click Generate to create your certificate. Download the completed certificate and double-click on the file to install it. 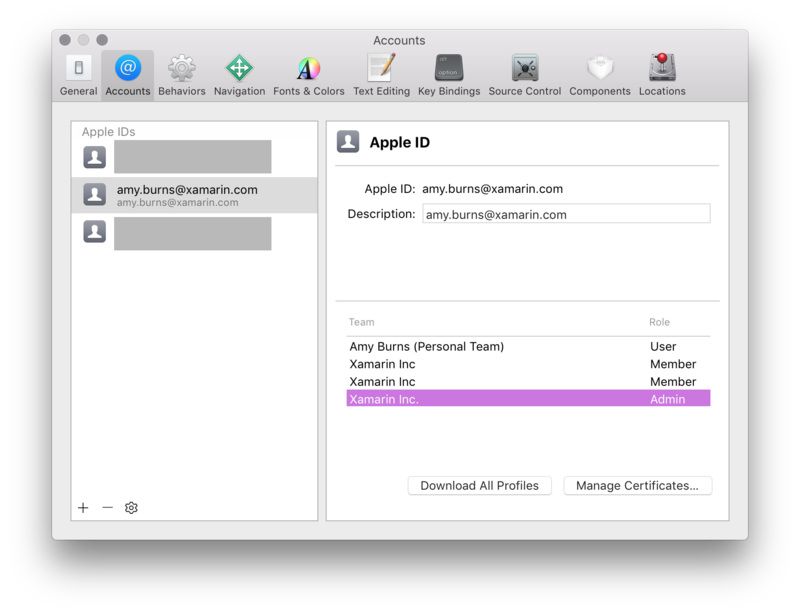 At this point, your certificate should be installed on the machine, but you may need to refresh your profiles, to ensure that they are visible in Xcode. 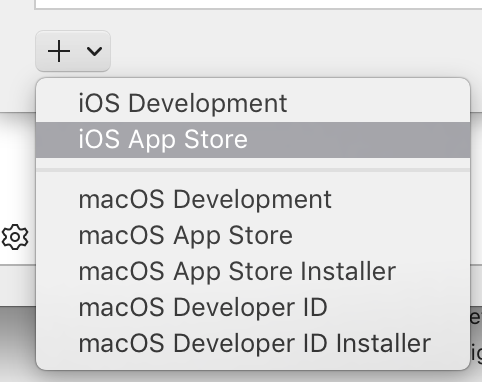 You may have to quit Visual Studio for Mac and have Xcode refresh it's list of available Signing Identities and Provisioning Profiles (by following the instructions in Requesting Signing Identities section) before a new Distribution Profile is available in Visual Studio for Mac. 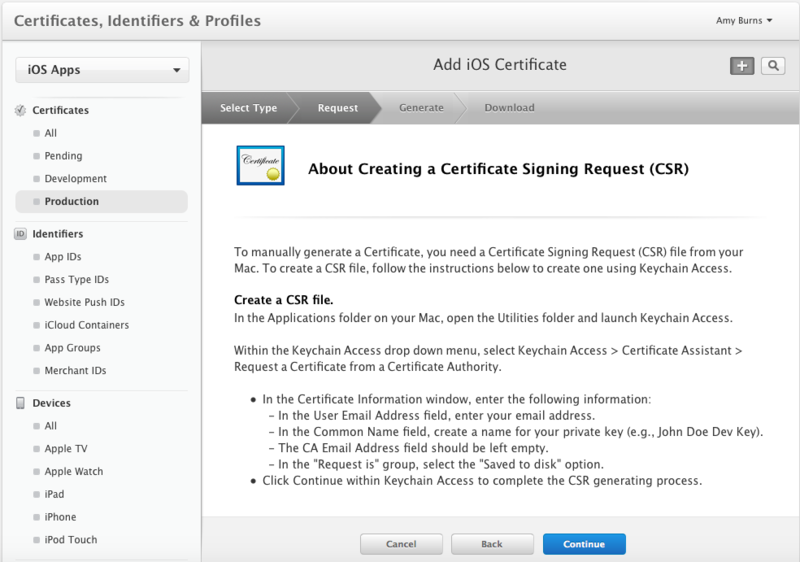 You may have to quit Visual Studio and have Xcode (on the Build Host's Mac) refresh its list of available Signing Identities and Provisioning Profiles (by following the instructions in the Requesting Signing Identities section) before a new Distribution Profile is available in Visual Studio. With the Apple Developer Enterprise Program, the licensee is the person responsible for distributing the application, and for adhering to the guidelines set by Apple. 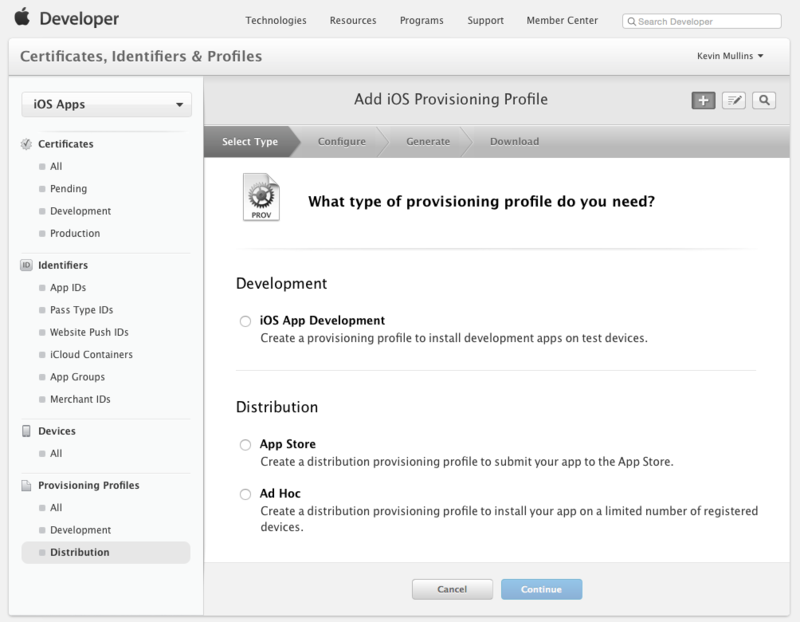 To distribute your app in any of these ways you must first create an IPA file, as explained in the next section. For more information on creating an IPA see IPA Support guide. This article gave a brief overview of distributing Xamarin.iOS applications In-House.